500 years of slavery, colonialism and now neocolonialism have succeeded in kicking Africans out of human species. Despite the end of the European slave trade and colonial slavery, African people’s image – infinitely soiled – has never been restored. Yet, Africa is not the endless insanity and servitude as believed. Africa is the cradle of mankind and civilization. Africa properly ruled the world for 3,000 years through a strictly Black Pharaonic Egypt, which gave civilization to Asia, America and Europe. Africa consisted of grand empires and was the world’s richest Continent until the 15th century, before Maafa (hell) fell on her. With a critically acclaimed rigorous scientific approach, Lisapo ya Kama has been striving to restore African history for 7 years while hoping to contribute to the end of the painful abuse that Africans suffer across the world and for the Black Continent’s renaissance. Many of our 250 articles, read by a great number of people, have become a reference and number one on Google; thus giving us a leading position. We are followed by more than one million people. Many do not like this work for the truth and mental uplifting of Africans. Our first website was hacked and destroyed and the current one lisapoyakama.org has suffered more than 3,000 hacking attempts within two and half years. Due to the research for the drafting of our articles, our website maintenance in French and English, our fight against hacking, consistent sponsoring of our articles for a maximum reading and the necessary projects for the expansion of our work, we are no more able to bear the financial costs by ourselves. Therefore, we need the support of each and everyone to face the enemies of the truth and pursue with determination this revolutionary work for the present and future Africans. Our future depends on it. 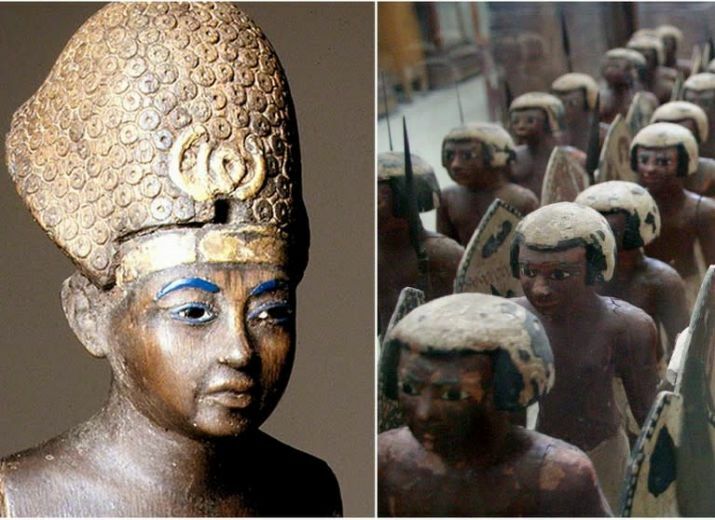 In the picture, Imanahotep Hekawaset (Amenhotep III) and the Egyptian Army on the right. It is under the reign of this Pharaoh that Egypt reached its absolute political climax. This man was Pharaoh Akhenaton’s father. Africans and the world need to know this.